Please support our Spring Student-athletes as we congratulate them on a job well done this year. Our Tigers have worked extremely hard and they talents have been recognized state and nationally wide. The ceremony will be held at SHS commons area on Thursday May 24th beginning at 6 PM. Girls Varsity Basketball · May 22 Congrats to our own Danae McNeal for verbally committing to Clemson University!!! Boys Varsity Soccer · May 2 Congrats to our Boys Soccer Team on their 3-0 win against Aynor last night! Girls Varsity Softball · May 2 Swansea Tiger Softball Travels to Battery Creek for 3A Playoff District Championship Game Today 5/2/18 with a 5PM start time! Our Softball Team will travel to Battery Creek today to take on the Dolphins! Our Lady Tigers have done a tremendous job all year to reach the 3 A District Championship! 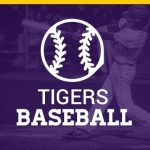 Please support our Tigers on this journey! Game starts at 5PM at Battery Creek High School! Girls Varsity Soccer · May 2 Swansea Tiger Girls Soccer host 3A Playoff Game Tonight vs Wade Hampton! 6:30 PM start time! Our lady Tigers have advanced to the second round of the playoffs after an impressive win over Loris! Bri Reynolds also became the single season scoring leader in the state of South Carolina, as she broke the record on Monday night! Our ladies will host Wade Hampton tonight! Please come and support our Lady Tigers! Boys Varsity Soccer · May 1 Swansea Tiger Boys Soccer host 3A Playoff Game Tonight vs Aynor! 6PM start time! Please come out and support our Swansea Tiger Boys Soccer program tonight vs Aynor! Game starts at 6PM! Lets show up and show out! #PCCW!